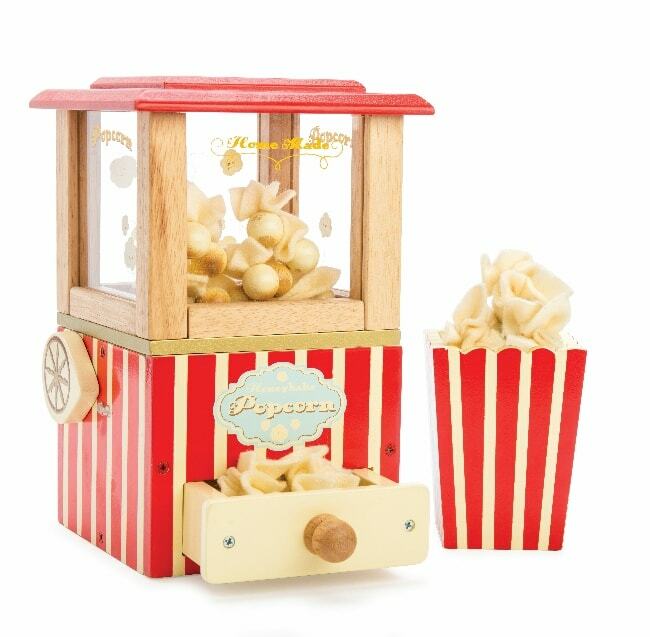 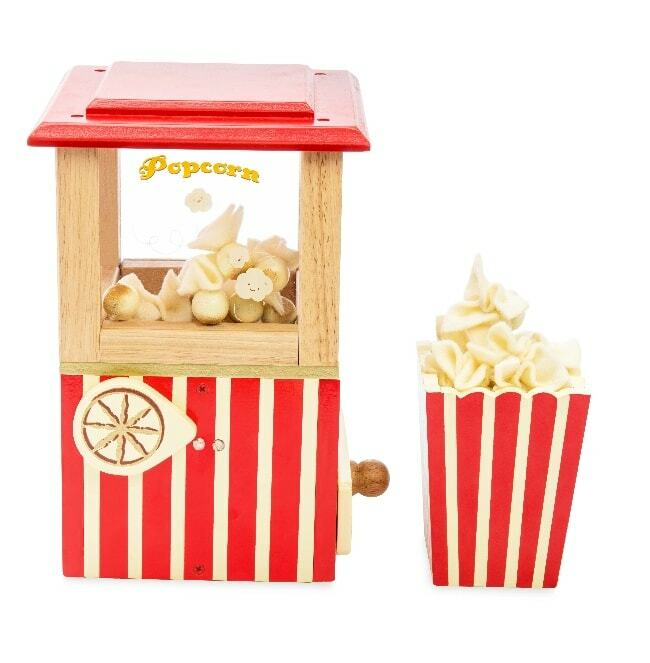 This unique vintage style wooden popcorn machine features a "pop handle”. 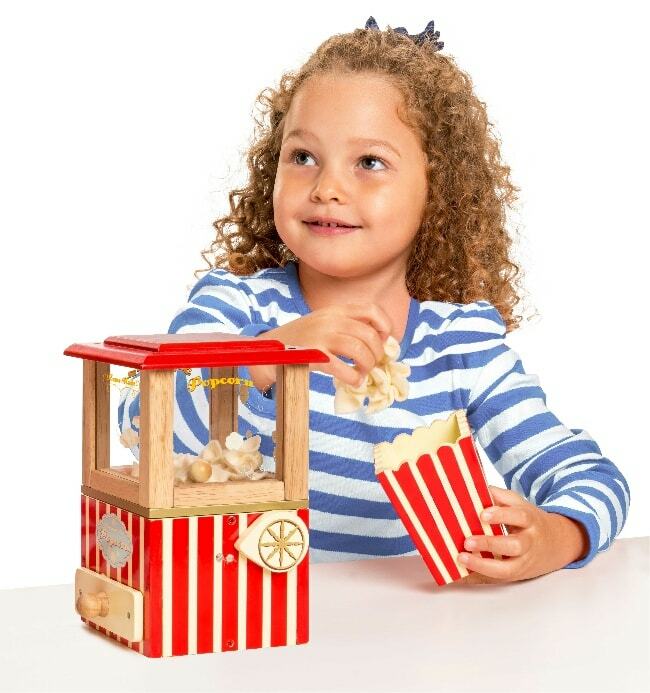 Hold it down, release and watch the popcorn pop! 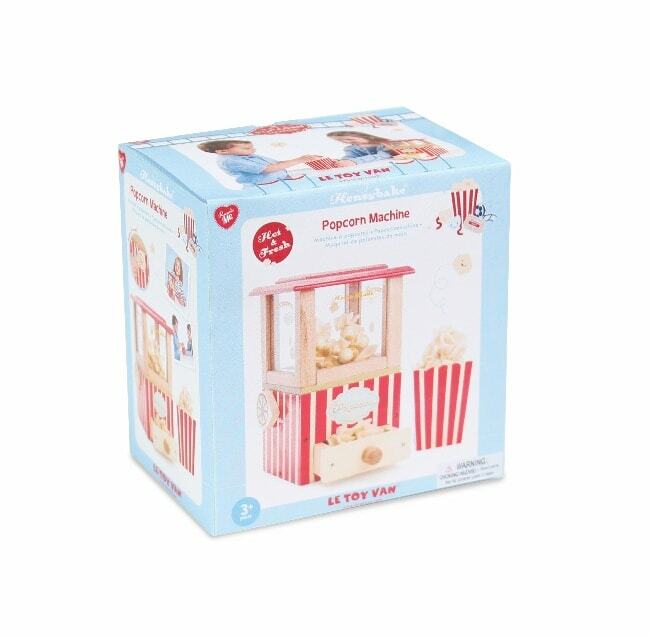 The machine comes with 5 felt play popcorn pieces that can be collected from the drawer and a colourful popcorn pot to serve them. 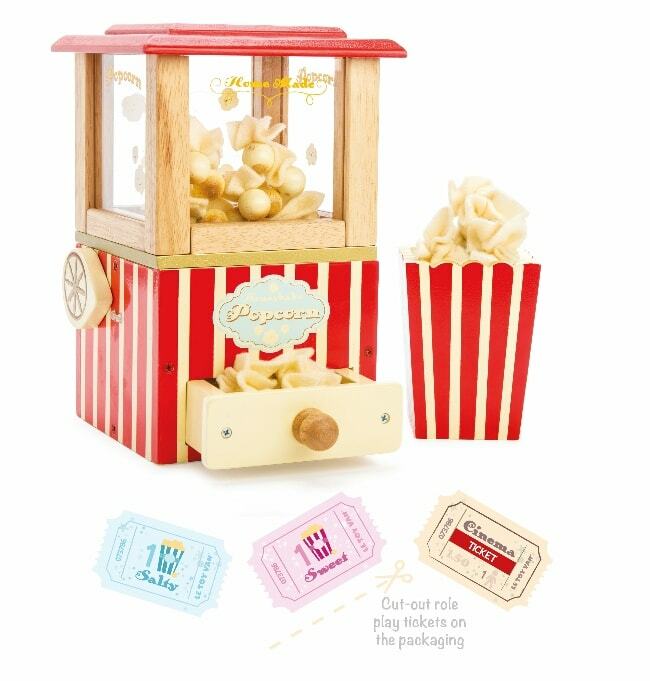 The packaging features show tickets and sweet/salty popcorn tickets to cut out to make the perfect movie night. 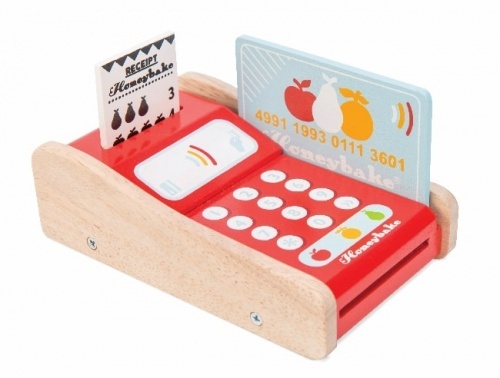 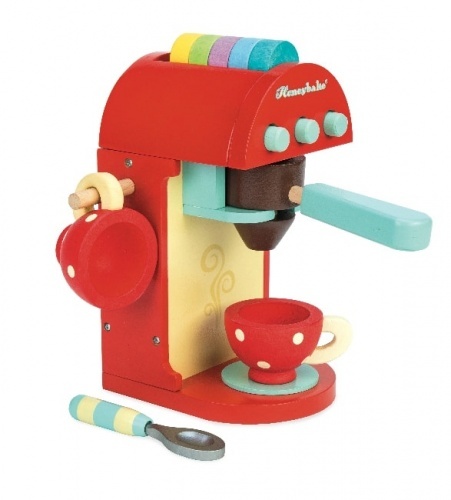 What a fantastic addition to the Le Toy Van market stall or play kitchen.